Home Industrial Wastewater Treatment Plant Design What Are The Benefit Of Industrial Wastewater Treatment? What Are The Benefit Of Industrial Wastewater Treatment? 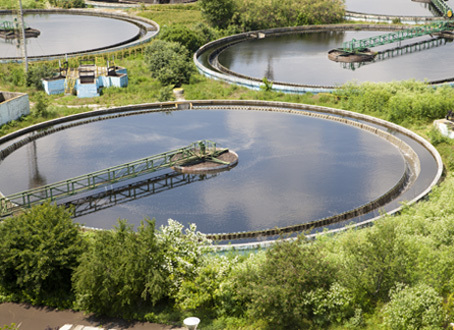 Very few of us would be aware of the benefits of industrial wastewater treatment. A wastewater treatment plant is an efficient way to take care of the sanitation. In addition, it protects the harmful waste to get directly exposed to the environment. Let us know some of the biggest advantages of industrial wastewater treatment. Wastewater treatment plant improves the hygiene condition of the area near the industries. Earlier, residential apartments were required to maintain septic tanks. However, the sewerage system is a healthier way to manage liquid wastes. Previously, all sewage waste was used to dispose of in septic tanks and cesspit which led the pollution of the groundwater of the areas where water was discharged. Polluted water was then directed to the sea water which causes a threat to the environment. Nowadays, with advanced wastewater treatment plant design, the ground is no more affected, and discharge of sewage waste has also been minimized up to a great extent. In addition, the treatment plant produces by-products, like treated bio solids and methane. These treated sludge can be used as a soil improving substance while the methane can be used to generate electricity. Water is a valuable natural resource which humans can’t afford to go waste. It should be managed in the best possible manner. A wastewater treatment plant is designed to fulfill this purpose. The treated effluent at the treatment plant can be reused for agriculture and other purposes. A typical wastewater can save millions of gallons of water per year. In addition, on-site wastewater purification plants remove the necessity of transportation of wastewater to other places, like plants that purified and send backwater to the original place. The transportation process consumes time, money and energy which can be saved with on-site wastewater treatment plant. Construction of a main drainage system reduces the direct damage on properties caused by flooding or destruction of the basic infrastructure of roads, pavement, and underground cables. It also helps reducing pedestrian difficulties. Uncontrolled flooding and flow of surface water can cause public health problems, accumulation of litter and there are potential risks of epidemic breakdown. Industrial wastewater treatment plant saves us from all such problems.